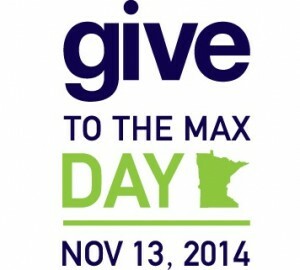 November 13th is Give to the Max Day in Minnesota and Cool Planet is thrilled to be participating again in this state-wide event to encourage giving to so many non-profits that make our community great. 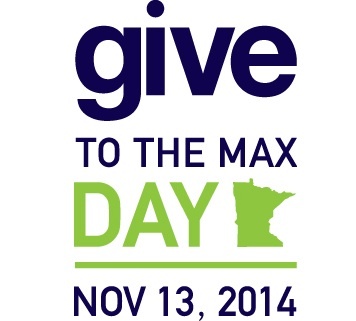 Show your support for neighborhood fun and action for our planet on Give to the Max Day. You can also schedule your donation in advance on the website. Give to the max for Cool Planet to the right – no need to go to the Give to the Max website. 1. Citizens’ Climate Lobby (CCL)- As Regional (MN, IA, SD, ND, NE) Coordinators of CCL, Cool Planet advocates to build the political will for a stable climate and a livable future. Supporting federal legislation to price carbon at it’s entry into the economy and returning 100% of the fees collected to US households will stimulate the economy, increase jobs, reduce deaths and put more money in the hands of consumers. This market based, revenue neutral solution will appeal to Republicans and Democrats alike and break through the partisan gridlock to shift the thinking from Economy OR Environment to Economy AND Environment. 2. Community Solar– Working with MN Community Solar, Cool Planet is a Community Partner helping in the search for a suitable location for a large solar array in Edina or locations adjacent to Hennepin County. Individuals, families or organizations can purchase ‘leaves’ of solar energy through a 25 year subscription from the existing array and receive a monthly reduction on their Xcel energy bill as they jump start the wave of solar investors …. all without touching their own home or trees. 3. Cool Planet Skiers, Low Carbon Crossing (biking) and Cool Planet Frisbee Players- Cool Planet asks people to get outside, get fit and have FUN!! People who love nature and being active outdoors generally want to protect the environment that gives them joy. So, get on those skis, bikes and throw those discs, while you have conversations to engage your friends and community in climate solutions to protect the outdoor world we love. 4. Cool Planet Family Lives Here!! Cool Planet has just completed our first year in the Edina Public Schools working with K-12 students and their families to make Edina “a deeper shade of green” through classroom presentations, grade level projects and middle school and high school clubs. This year Cool Planet is adding youth and family programs through the Edina Park Board and Edina Community Education. When families reach a specific level of engagement, they earn a “Cool Planet Family Lives Here- Join Us” yard sign. 5. Speak Up!! Climate Solutions Leadership Training- Cool Planet has now trained over 150 climate solutions leaders in their 3 hour training that blends the basics of climate science and solutions with the psychology of sustainable behavior. This develops empathetic conversational skills to seek shared values and authentic dialogue to move conversations to action.